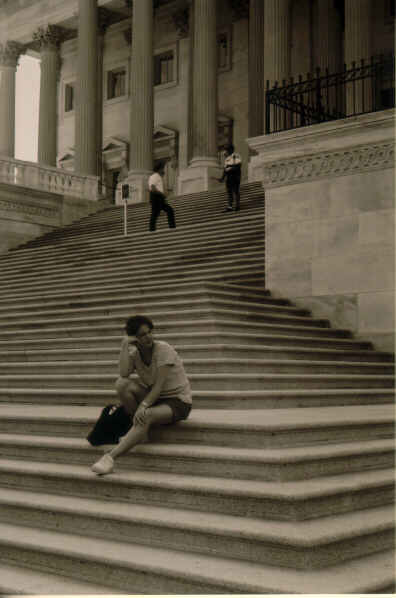 I decided to take some pictures around Capitol Hill after the Sept. 11 attack. Some of these attempt to capture the decisive moment. Please email me and let me know if you think I succeeded. All photographs taken with a Leica IIIf RD and uncoated 50mm f/3.5 Elmar. Color film was Fuji Superia 400; black and white film was Kodak T400CN. 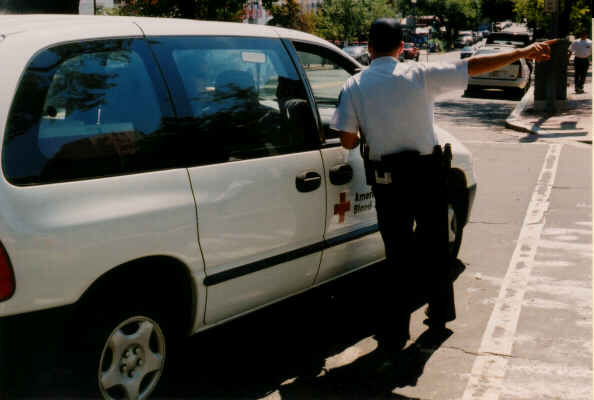 The Red Cross at 1st & C Streets, S.E., Sept. 13, 2001. 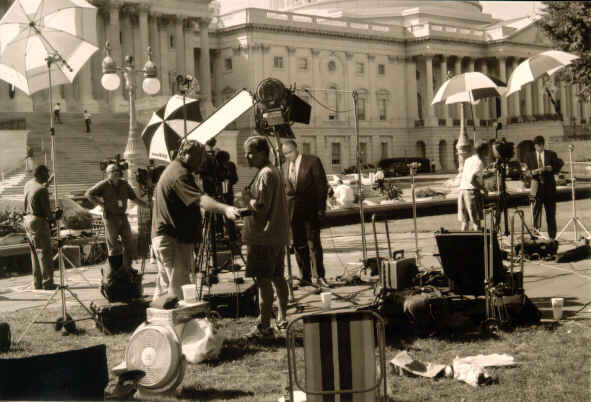 News gathering at the Capitol, Sept. 13, 2001, picture 1. 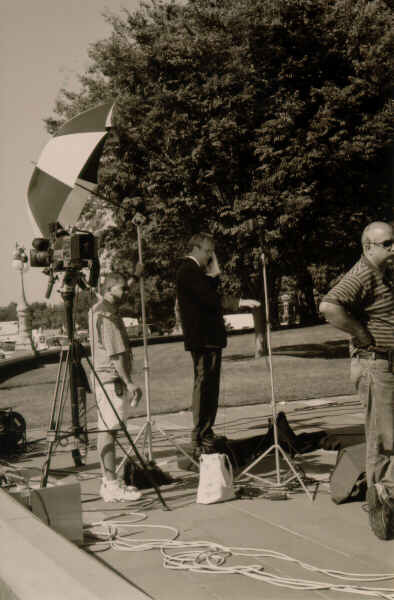 News gathering at the Capitol, by means of cell phone, Sept. 13, 2001, picture 2. 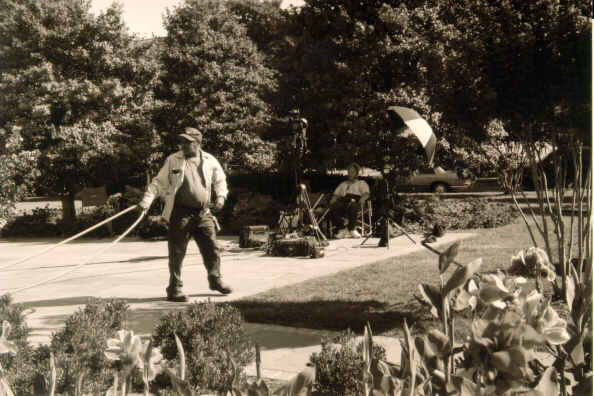 News gathering at the Capitol, a slow news day, Sept. 13, 2001, picture 3. 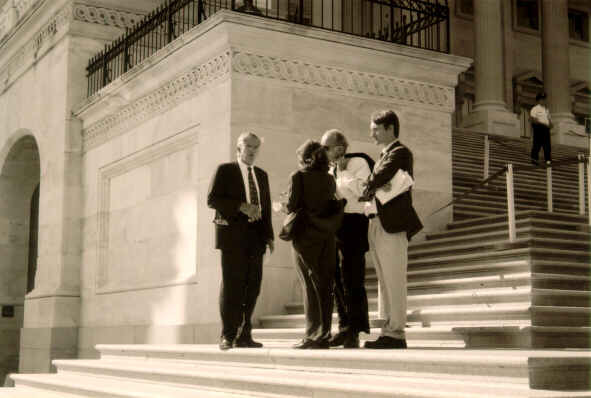 Scene on the Capitol steps, Sept. 13, 2001. Meeting with constituents? Sept. 13, 2001. 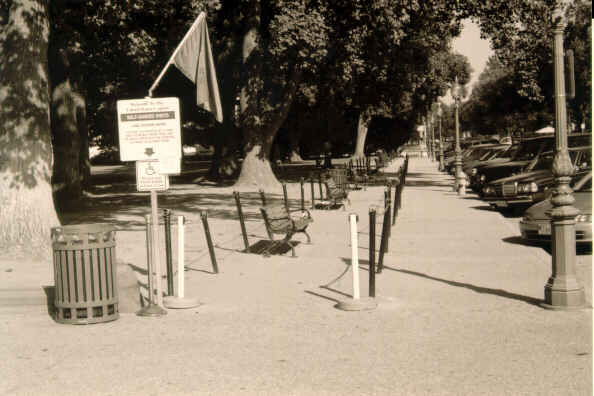 The self-guided tour line, Sept. 13, 2001.